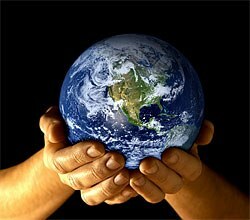 Join us in serving others around the world, and the cause of world peace, through the dynamic power of prayer. With this introduction to the Self-Realization Fellowship Worldwide Prayer Circle, I would like to invite you to join us in serving others through the dynamic force of prayer. We all respond deeply to such questions — and there is an answer to these problems that so trouble our hearts. The one reason why individuals suffer from physical and emotional inharmonies — and why nations experience social and international strife — is that they have cut themselves off from the source of divine power and blessing by their own wrong thoughts and actions. Today, perhaps more than ever before, it is imperative that we counteract that negativity. If we aspire to more than an uneasy existence on this earth, we must renew our connection with the divine Source. That is the purpose of the Self-Realization Fellowship Worldwide Prayer Circle. And that is why I urge you to deeply consider the message presented here. It describes how every man, woman, and child — of all races and religions — can effectively work for healing and security for themselves and their dear ones. And your personal efforts at focusing the power of prayer — the unlimited power of God within each of us — can do much to bring greater harmony among the troubled nations of the world. We hope you will join in this worldwide circle of prayer, that men and women everywhere may awaken to a greater realization of the divine power within, and that it may be expressed without as peace and fellowship among all people. 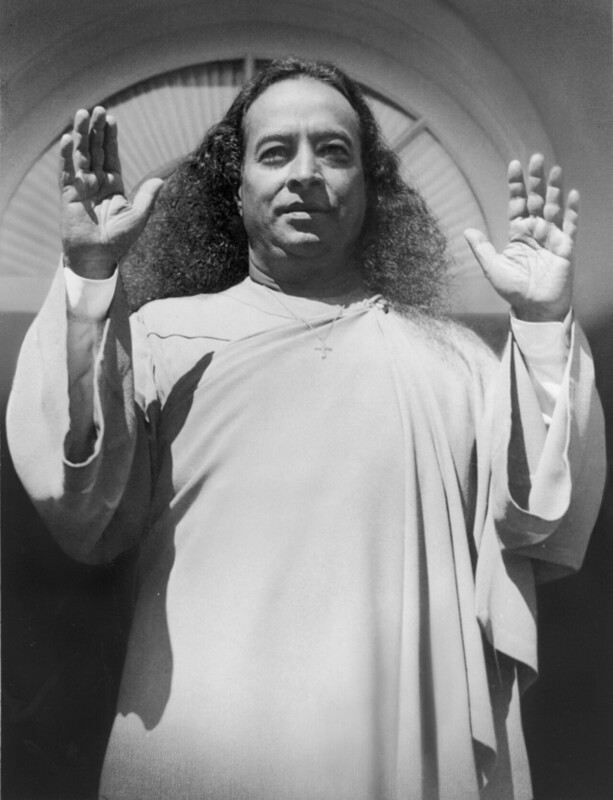 Paramahansa Yogananda rendered a great service to humanity through his prayers for world peace and for the healing of others’ physical, mental, and spiritual afflictions. Each morning in deep meditation he invoked God’s blessings on all who had requested help, and sent them healing energy through performance of a simple but highly effective technique. As time went on, Paramahansaji asked all of the monks and nuns of the Self-Realization Fellowship Monastic Order to join him in this endeavor to serve the world through prayer. Thus was born the Self-Realization Fellowship Prayer Council. 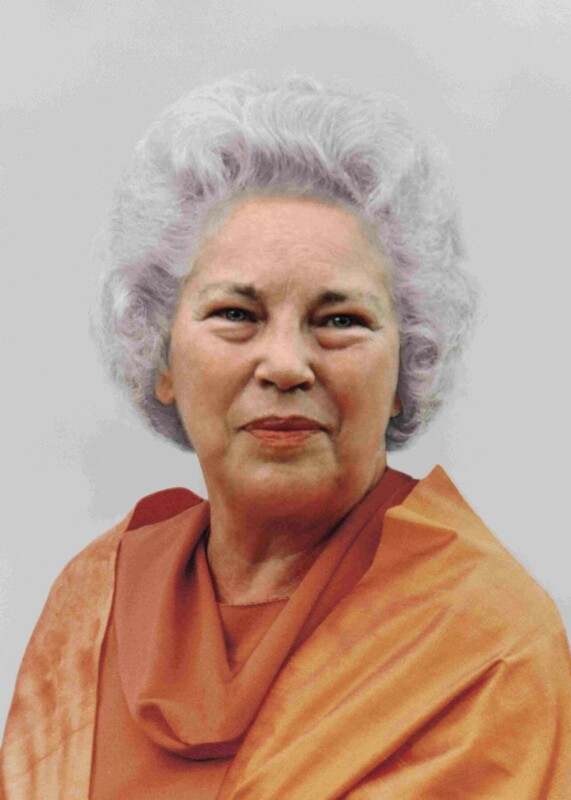 Led by Paramahansa Yogananda’s spiritual successors, the work of this Prayer Council has continued uninterruptedly through the years. The Council deeply meditates and prays for others each morning and evening, and performs the healing technique practiced and taught by Paramahansa Yogananda. Countless letters addressed to Self-Realization Fellowship from those who have sought and received help attest to the unlimited power of God that is being effectively directed to others by the Prayer Council for healing of body, mind, and spirit. Paramahansa Yogananda often expressed a wish that the healing work of the Prayer Council be augmented by the prayers of Self-Realization Fellowship members and friends in every land, creating a spiritual union of sympathetic hearts — a worldwide circle of prayer. Since the establishment of the Worldwide Prayer Circle, the prayers offered by participants all over the world have helped to create a growing tide of divine power, encircling the globe with harmony, goodwill, and peace. We hope you will help to strengthen this healing tide with the soul force of your prayers. Weekly prayer services are held at Self-Realization Fellowship temples, centers, and meditation groups. If you are unable to attend these services, or if you are a follower of another spiritual teaching, you may wish to have a private service each week in your own home. As mentioned earlier, the basic principles of prayer and healing described here are applicable by anyone, regardless of religious affiliation. In the Self-Realization Fellowship Lessons, Paramahansa Yogananda has given step-by-step instructions for realizing God’s indwelling presence through scientific methods of concentration and meditation. And it was his great desire to see those who were practicing such methods serve others from their own expanding awareness of the Divine Presence in all — from actual realization of the world as one family. The effectiveness of the Worldwide Prayer Circle depends not only on the wholehearted participation of as many sympathetic souls as possible, but also on the depth of communion attained by the individual members of the Prayer Circle. For prayer to bring God’s response, it is essential to know how to pray. As we realize the presence and the love of God within, we develop our ability to radiate it without. This is the practical answer to the troubles of humankind, for there is a dynamic relationship between our consciousness and world conditions. But Paramahansaji stressed that the negative vibrations of selfishness, greed, and hatred which bring disease and unhappiness to individuals, war and natural disaster to nations — can be overcome if enough men and women turn to God in meditation and prayer. By changing ourselves — through spiritual living and communion with the Divine — we automatically radiate vibrations of peace and harmony that do much to counteract the negative effects of inharmonious living. Thus, as a channel for the healing power of God, prayer for others is one of the highest services we can offer. Material charity, social welfare work, and other forms of relief are valuable and necessary in temporarily alleviating the suffering of others, but scientific prayer strikes at the root cause of the world’s suffering: the wrong thought patterns of mankind. Through participation in the Worldwide Prayer Circle, each of us can help in the most effective way possible to bring lasting peace and healing to the world and to any of our dear ones in need of aid.